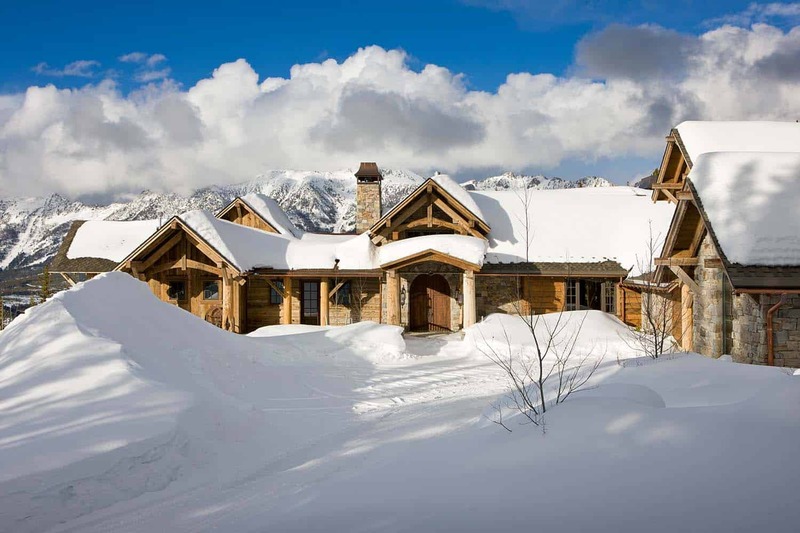 Milner Residence was designed as a spectacular rustic mountain home by renowned architecture firm Locati Architects, located in Moonlight Basin in Big Sky, Montana. 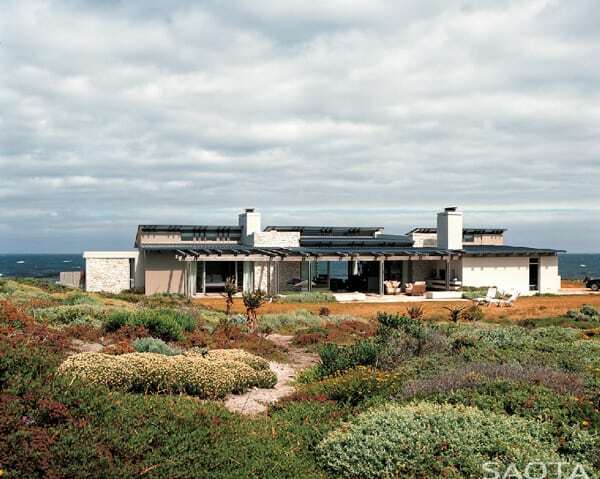 This sprawling two story residence showcases a combination of stone and wood on its exterior facade. The home is integrated into its sloping site, surrounded by mature growth trees and rugged mountains. The privacy all around, this is the perfect family home to enjoy nature and partaking in outdoor activities all year round. 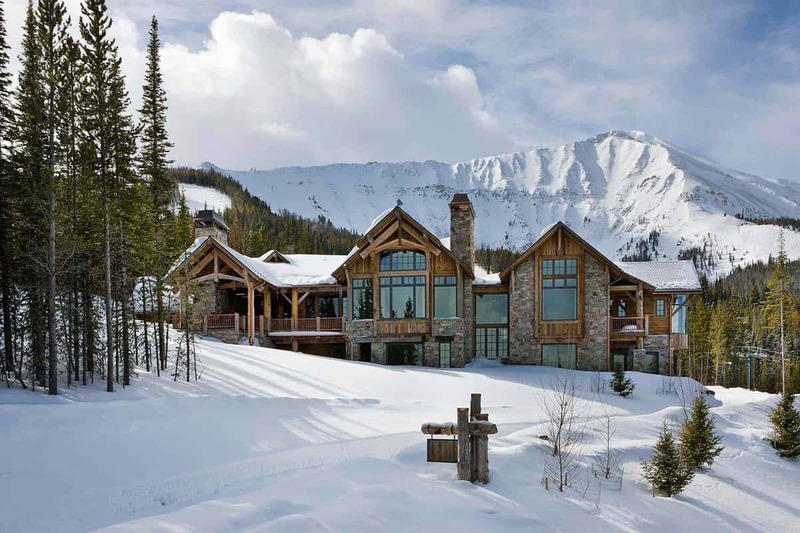 With the great outdoor literally in the backyard of this home, it is conveniently nestled in the Moonlight Basin ski resort area of southwestern Montana. 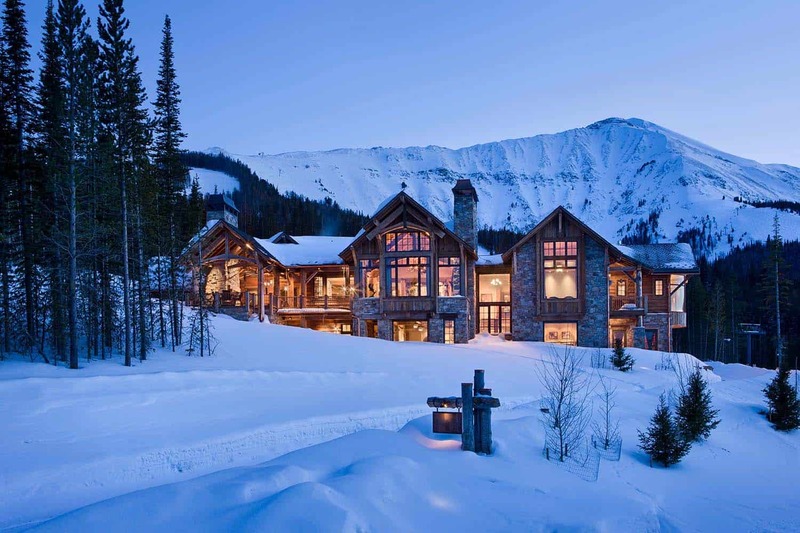 Positioned in the Madison Range of the Rocky Mountains, the home was designed to maximize the mountainous views from every angle. 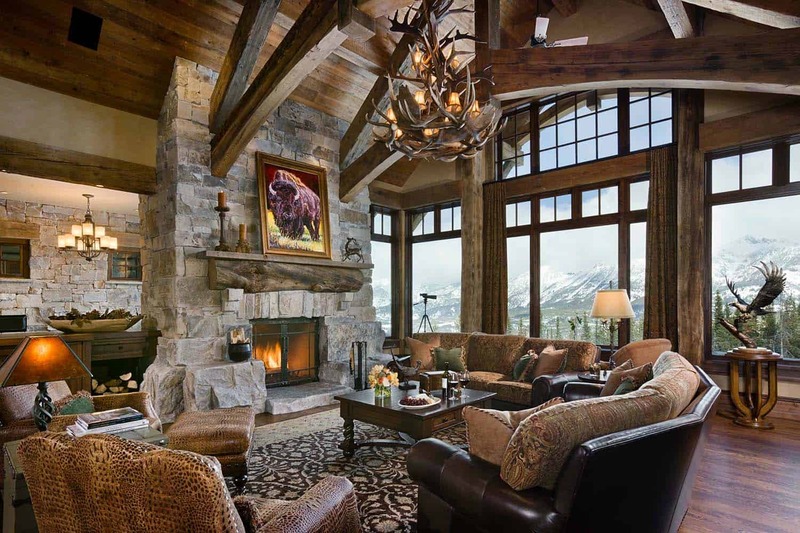 What We Love: This striking rustic mountain home features the perfect balance of refined luxury and rustic details to make a comfortable home for everyday living. 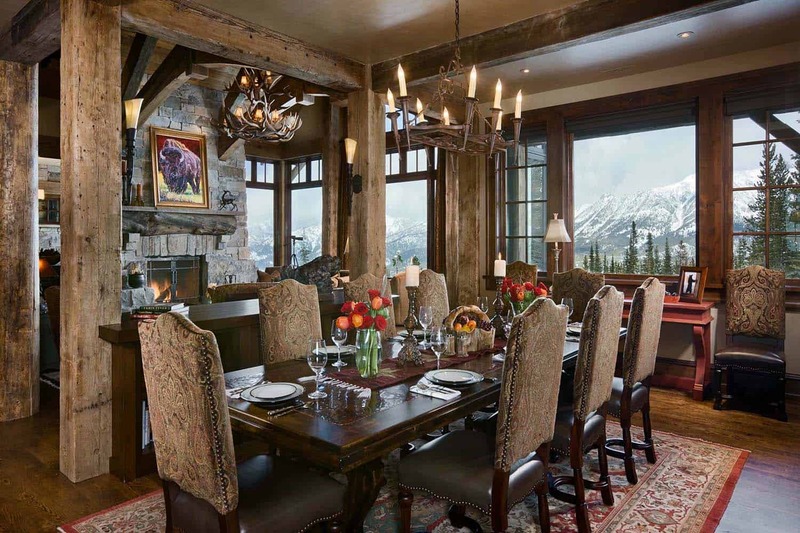 The mountain views seem to be perfectly framed from every room, it does not get much better than this. 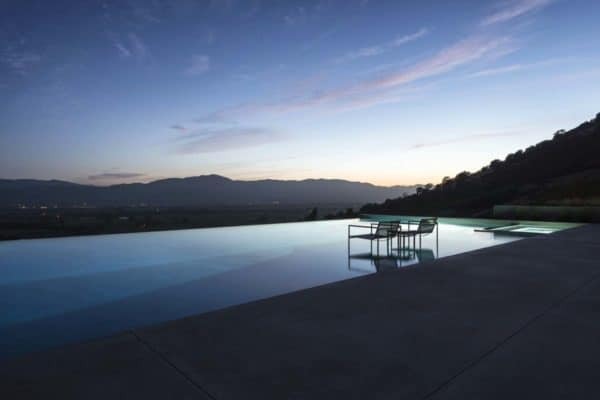 This is the ultimate home to enjoy an escape from city life, fresh air, nature and mesmerizing views from every direction… readers, what are your thoughts, would this be your idea of a dream home? 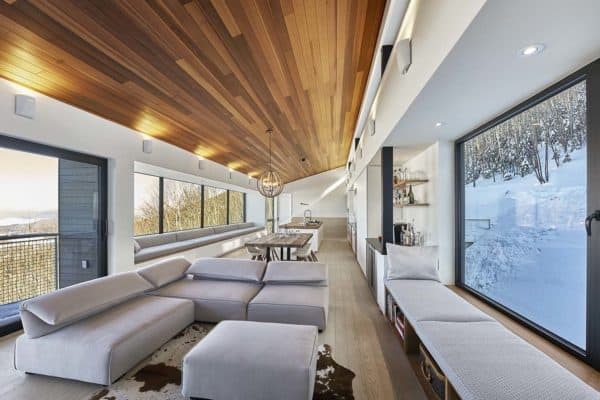 Note: Have a look below for the “Related” tags, featuring home tours of Locati Architect’s most popular work. 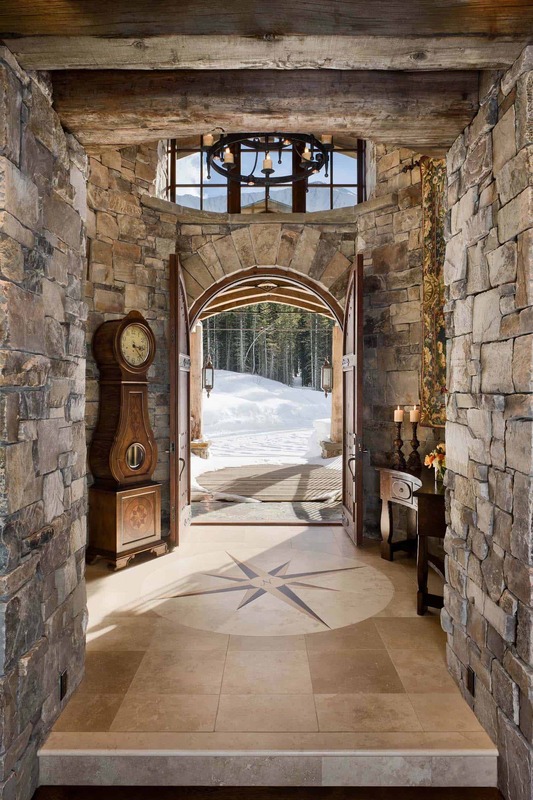 Above: A double height entryway features a north arrow medallion on the floor, arched entryway doors and a beautiful grandfather clock. 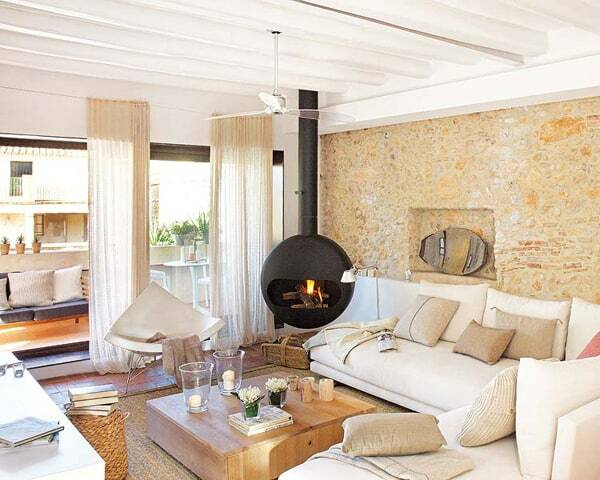 Above: A floor-to-ceiling stone fireplace is the focal point of the living room, with furnishings arranged around it. 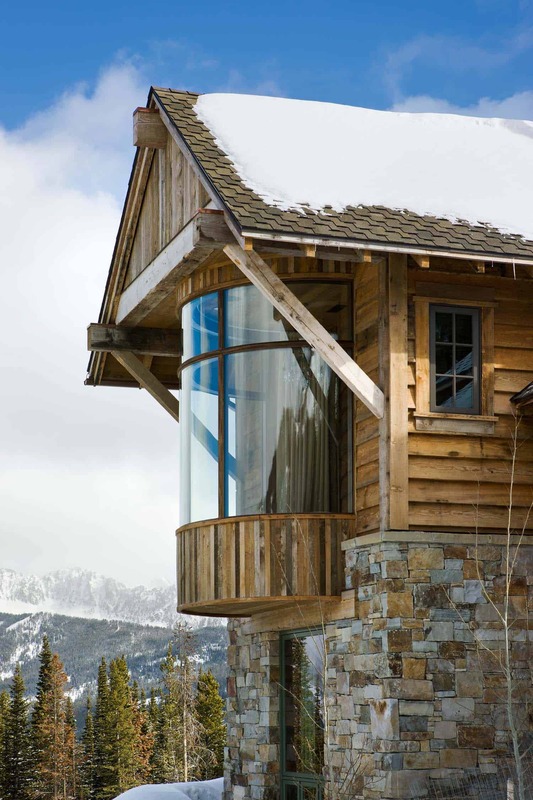 Expansive windows captures the surrounding mountains. 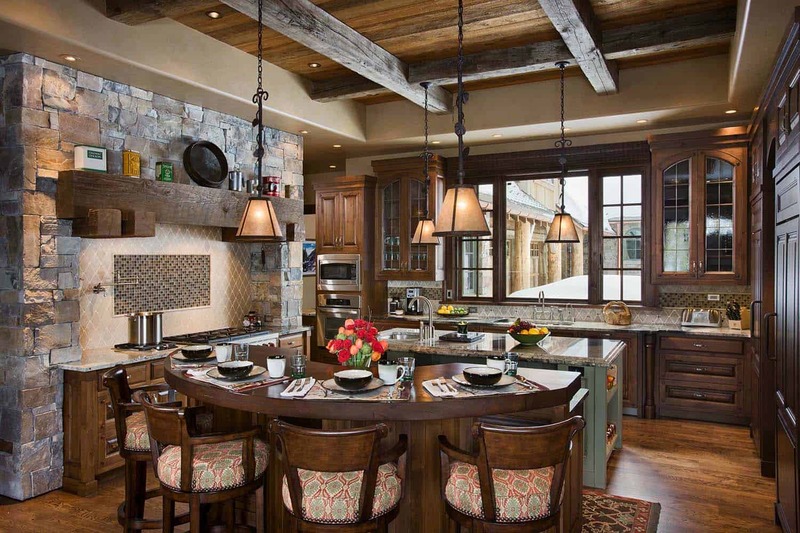 Soaring ceilings features wood trusses, adding to the rustic aesthetic. Above: The kitchen features a separate bar area from the island, providing a casual dining space. Above: Next to the living room, a built-in buffet separates the spaces, while a lower ceiling height makes this area feel more intimate. A long and elegant dining table allows plenty of space for entertaining guests. 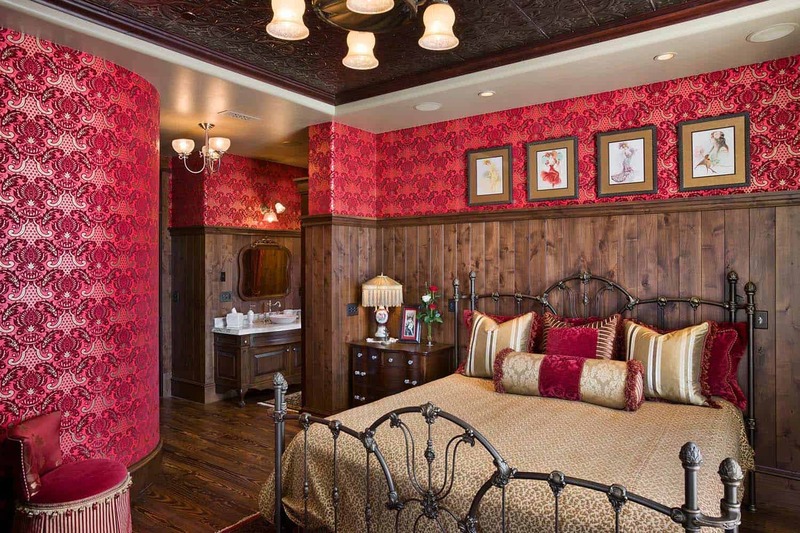 Above: A cozy guest bedroom features wood mixed with patterned wallpaper on the walls. The color of the wallpaper is repeated on the chair fabric and pillows. 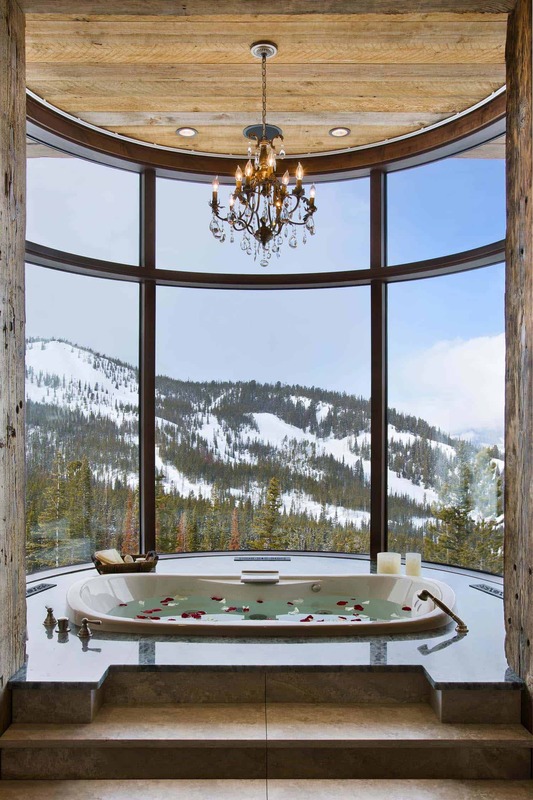 Above: In the master bathroom, steps leads up to an opulent deep soaking tub with curved windows perfectly framing the rugged mountain views. To top off the aesthetic, a ceiling clad in wood features a striking chandelier suspended above the bathtub. Above: Love this idea! 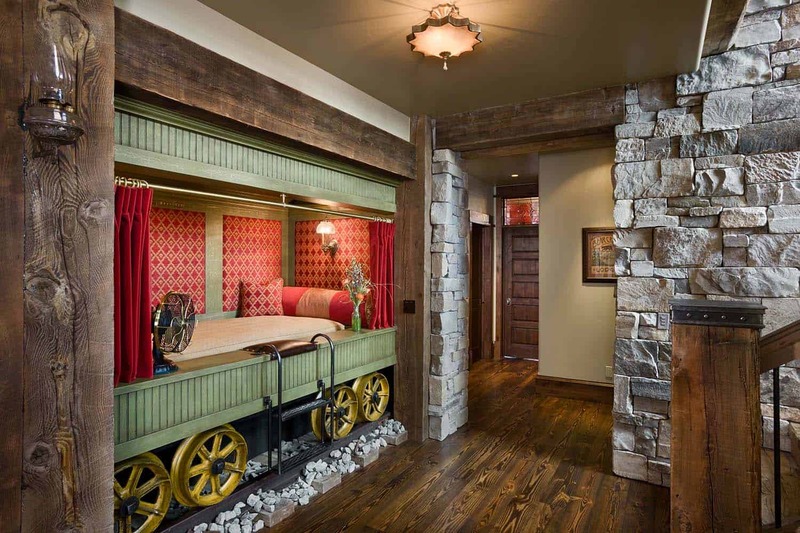 A mining car is simulated into the wall, a cozy spot for a child to cozy up for the night. Complete with curtains for privacy and a nightlight for reading. 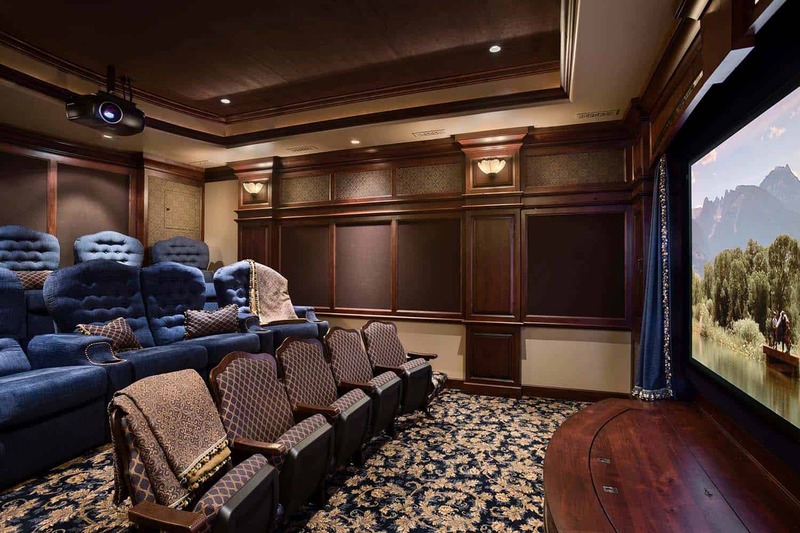 Above: Comfortable chairs in this home theater provides a great space for family entertainment. 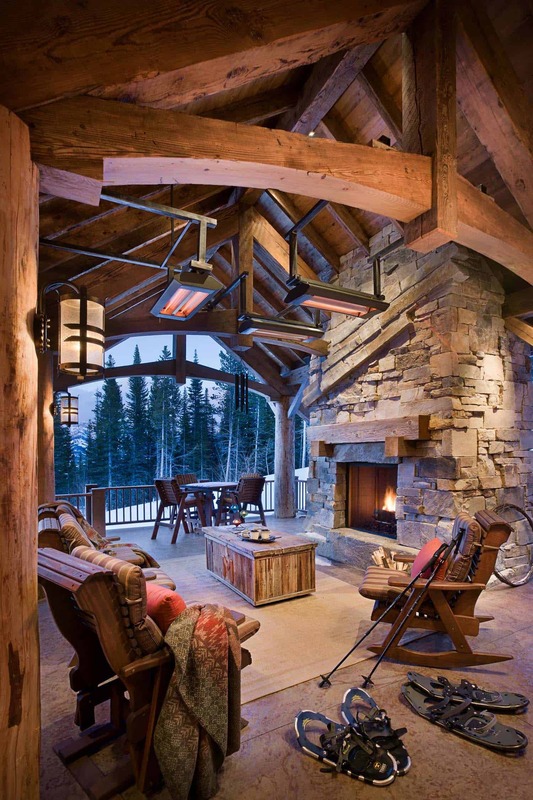 Above: An outdoor seating area provides a sheltered space to relax after spending a day on the slopes. 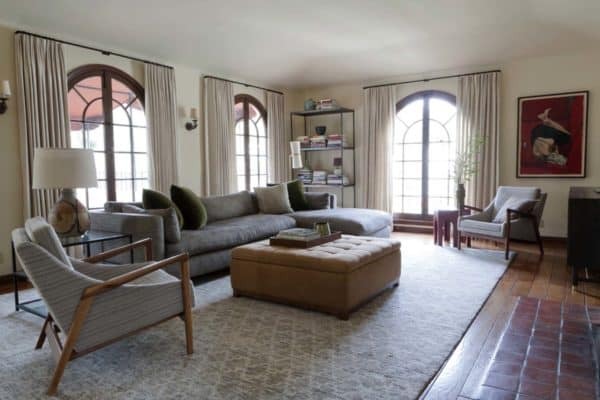 With comfortable seating and a fireplace, this area can be used all year long. Additionally, infrared heat lamps by Berko are not affected by wind, which helps keep this outdoor space feeling very comfortable during cold weather season. 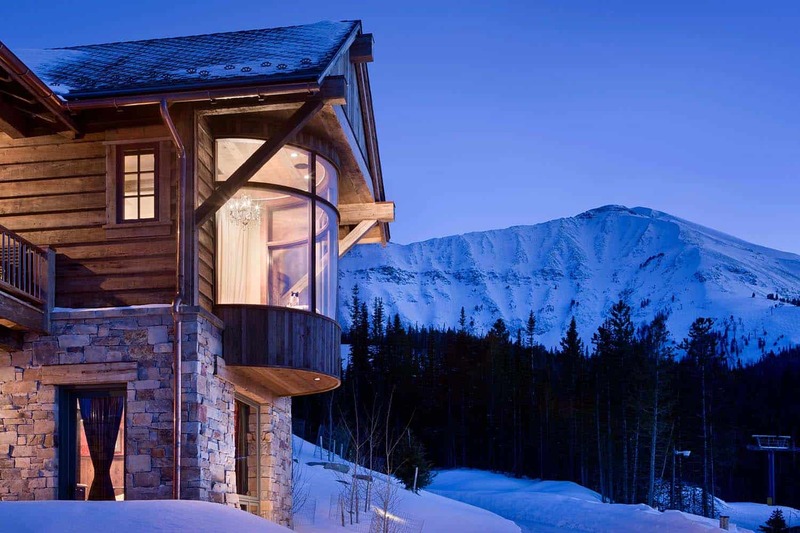 The heat output can also be adjusted to a comfortable temperature, perfect for entertaining your guests while soaking in the spectacular snow-capped mountain views. Is this a Bed and Breakfast?